In a matter of days, most, if not all, students will be back to school. Which means we’re primed for another round of dress code foolishness. While much of the silliness is focused on incidents like exposed collarbones and the banning of yoga pants, there’s an early leader in exposing the hypocrisy of dress code enforcement. 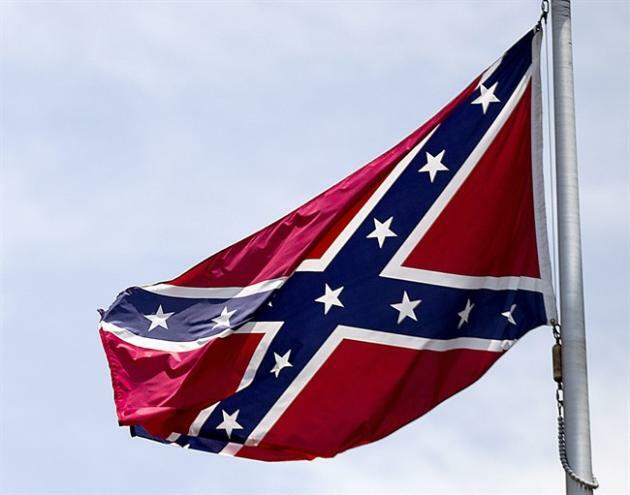 During the first week of school at Neuqua Valley High School in Naperville, Ill., one student apparently came dressed in a Confederate flag - and got away with it. The garb caught the attention of a number of students who were taken aback. Considering the backlash against the Confederate flag after this summer's church shooting in South Carolina, one would assume thestudent was stopped and reprimanded immediately, but apparently that wasn't the case. Yahoo Canada reached out to Dr. Robert McBride, principal of Nequa Valley High School, for comment, but we didn’t receive a response. We’ll update this post if he gets back to us. The flag flap is just the latest example of a school culture that seems more fixated on sexualizing students than upholding morals and safety, as one student noted on Tumblr this week.